One of new Silverlight 5 feature is Style Setter. This great feature was heavily missing from the earlier Silverlight version. The functionality is pretty useful and is extensively used in WPF applications. Implementing MVVM scenarios with controls inherited from ItemsControls is not an easy way and sometimes may require a lot of work. Say binding IsSelected on C1TreeView or binding GroupName/HeaderBackground in C1Menu. There are lot of workarounds to these scenarios. Setting binding in Style Setters is really helpful in these scenarios and it does reduces a lot of work. As you can see from the above xaml code, we have used the ItemContainerStyle and bound theIsSelected property on the C1TreeViewItem with the IsSelected property exposed on our class. That was pretty simple. Isnt It? With earlier versions, you may have to use some helper classes like SetterValueBindingHelper to achieve the same thing. You can set similar type of styles to most of the controls inherited from ItemsControl like C1Menu,C1Accordion, C1Book etc. while still obeying the rules of standard MVVM. European Silverlight 5 Hosting - UK :: What is Linked and Multicolumn Text Silverlight 5? Today, in this article let's concentrate on another SilverLight application, whereby communicating with a WCF Service to perform some operation. What is Linked and Multicolumn Text? In simple terms "It enables content to render on browser as per column wise when the text is over flown. So for this we can linkup textbox with other, to make sure it flows into next textbox control when the current textbox is full with the content". Let's get this implemented practically for a better idea of this. 1. The complete code of the IService1.cs looks like this. 2. The complete code of the Service1.svc.cs looks like this. // NOTE: You can use the "Rename" command on the "Refactor" menu to change the classname "Service1" in code, svc and config file together. 3. The complete code of the Web.Config looks like this. 4. The complete code of the Clientaccesspolicy.xml looks like this (to avoid cross domain problem in SilverLight). 5. The complete code of the MainPage.xaml looks like this. 6. The complete code of the MainPage.xaml.cs looks like this. 7. The output of the application looks like this. 9. The output of RichTextBox2 Hover Application looks like this. In this guide we will showed you how to read the URL-Parameters in Silverlight this article will showed you the easiest way to read it. In CRM there is a setting that you can “pass-param”. If you are on a CRM Form you get keys like “typename” and “id”. GUID that represents a record. Unique name of the organization. Language code identifier that is being used by the current user. Language code identifier that represents the base language for the organization. 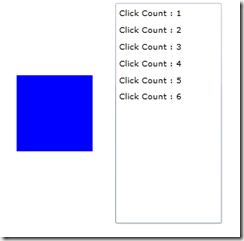 Silverlight 5 has given us a new property in the MouseButtonEventArgs called Click Count. Before the release of this Silverlight 5, there are no implementation of “double click” event, you need to write your code to implement that. But instead of giving double click event, the Silverlight gave us the ability to tracking how much clicking we done. But there’s a limitation of the clickcount, and in this article will look at creating a solution to resolve it. In our event handler, we can easily track the click count by adding a new string to our _events collection. You will notice that the ClickCount will increase each time you click the mouse button if you are quick enough. Pause in the clicking for a moment and the ClickCount will reset!. You can see that we can track a double click or triple click or a click-15 if we want. All we would need to add is a conditional statement based off of the ClickCount property. If you run this code, you will notice that you will never fire the “Double click” MessageBox. This is because the moment the first MessageBox is displayed, the focus is taken away from our rectangle and thus the ClickCount is started over when we come back to it. This means that attempting to implement two events is a bit tricky. How to make it worked! So How to track multiple click? You need to write some code. In order to create a reusable solutionwe decide to implement solution as a behavior. This will allow us to add a multiple click handler to any UIElement in XAML without having to do a bunch of wiring. However, the code is straight forward enough you can easily remove it and create your own reusable solution. Every time a user clicks on your object a DispatcherTimer is stopped and then started. In addition we track the latest sender object and the ClickCount. Once the user stops clicking on your object, the DispatcherTimer is allowed to hit the Click event and we fire an event giving the latest ClickCount and the sending object. The OnAttached/OnDetaching methods are how the Behavior is attached to the object, an UIElement is our case. The AssociatedObject is simply to object that the Behavior is attached to. As we discussed before, the DispatcherTimer is stopped and started when the user clicks on the object. Once the DispatcherTimer hits the Click event, it(dispatcher time) will stop stopped, a MouseMultiClick event is fired and the Behavior waits for the next MouseLeftButtonDown event. **Note: Its important to set the time at 200 milliseconds. And no longer than that you may get unexpected results. This is how we use our behavior, Here is what are Rectangle looks like with our Behavior. I have also removed the MouseLeftButtonDown event. If you run the project again, you will now see that instead of getting an event for every click, you only get one event for each round of clicking. So you can track single, double, triple, etc. From there you can implement your code based on your project needs. When using Silverlight, everything is asynchronous. It seems to be the trend, the same goes for Windows 8. This means that you will need to inform the user about progress in the background. Silverlight uses the BusyIndicator for this behavior. Using MVVM, it might be a bit harder to implement the BusyIndicator in a correct way, but Catel provides the IPleaseWaitService for years which can be mocked easily during test scenarios. A long requested feature in Catel was the support for tags in the ServiceLocator. The ServiceLocator is the IoC solution that Catel provides by default. A customer of Catel recently required the busy indicators to show up per view. I thought a bit about it and this could be solved by the recently (read: this week) introduction of the tags in the ServiceLocator. This code will be executed when the ViewModel property of the control changes. 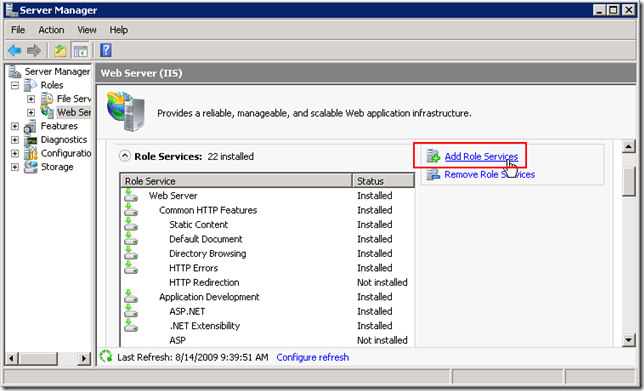 The view registers a view specific instance of the PleaseWaitService service in the ServiceLocator. It uses the new view model as tag so that will be used to distinguish the services. The base implementation will automatically take care that the data context is updated and that the control is centered as required. 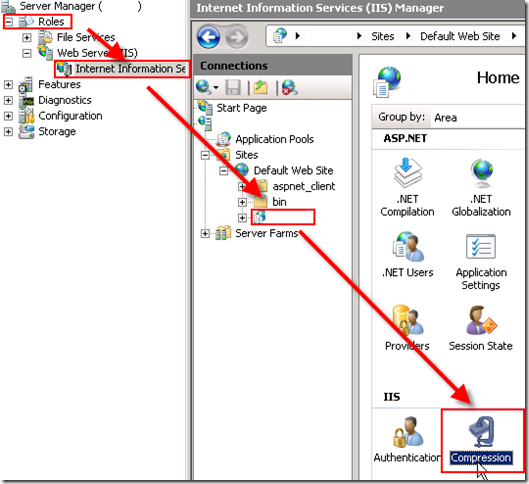 In this tutorial I will show you how to enable dynamic compression in IIS 7. For other post of dynamic compression, please just see our last post. And dynamic compression has been enable on your server. Hope this tutorial is interesting. Application in which I faced with such a task was developed using the technology of Silverlight. Built-in DataGrid functionality described above is not realized. This led to the development of special control FluentGrid. FluentDataGrid - is the control that builds a table based on a custom data source FluentGridSource. Currently, the construction of the table (view) is available only at runtime. FluentGridSource has Fluent-like interface for the formation of rules of construction. The base class implements the INotifyPropertyChanged PropertyChangedBase. We see that in the line two "static" column Id and Name, attribute DynamicHeader helps us set a cap column. There is also a list of Marks, a "dynamic" of the table, which can be constructed, for example, by using LINQ. Its elements have to implement a special interface IDynamicElement. In forming a data source, you can add formatting rules AddFromatter (), totals AddSummary (), validation rules for totals AddValidator (), the validation rules of values ​​in table cells AddCellValidator (), and set rules for the formation of the hierarchy. In order to specify the hierarchy, you must specify the property model - key (Id), the property - a reference to the parent element (ParentId) and the property on which to display the hierarchy. Next step is to create a row with the appropriate attributes for the grid as described above. Observable Collections are great to preserve the latest data in data controls without having to rebind data to the data controls. 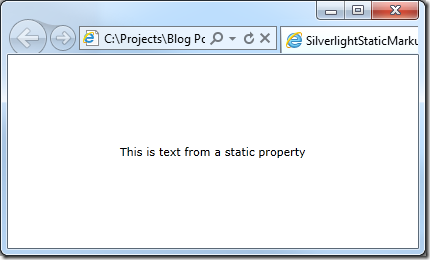 In this article we will explore how we can work with Observable Collections in Silverlight 5. Silverlight is a browser plug-in that promotes a collaborative development environment of rich online media content that enables developers and designers alike to integrate multimedia and graphics into web pages within the context of the managed environment. Over the past few years, Silverlight, formerly known as Windows Presentation Foundation Everywhere (WPF/E), has become popular worldwide for developing the next generation of cross-browser, cross-platform Rich Internet Applications (RIAs). The generic List<T> represents a strongly typed list of elements or a CLR or non-CLR type. When we bind data to a DataControl in ASP.NET using such a list, the data in the data bound control is up to date with the data in the list. However, when the data in the list changes, the data control has to be re-bound to reflect the changes. In other words, we have to rebind the data in the list (now the list contains updated data) to reflect the change. This problem is solved in using ObservableCollection<T>. This collection is capable of providing notifications of items added/deleted/edited through the INotifyCollectionChanged interface. The INotifyCollectionChanged interface has an event called PropertyChanged, which is fired when a property value is changed. To ensure that the DataGrid is refreshed if any item in the collection is changed, we should take advantage of the PropertyChangedEventHandler event handler. The NotifyPropertyChange event handler would be automatically called whenever the list is changed. In this article we discussed how we can work with Observable Collections in Silverlight 5. We explored Observable Collections, why they are helpful and how we can bind data to data controls in Silverlight using Observable Collections. Happy reading! Hopefully, I demonstrated the power of markup extension for you. The goal of using them to me is reduction of the amount of code elsewhere in the system, since you will obviously have to write more XAML. Of course, I am sure Blend 5 will support mark up extensions, so potentially you can just drag my extension on top of the button and setup a few properties in properties window. You will also see a number of demos where an extension is used to support localization, which seems pretty intuitive use of the feature. Bottom line is: I love getting new features that make my job easier by allowing me to write less code and re-use more of the code written. If you have done any WPF application development I am sure you have used and fallen in love with the Static markup extension. 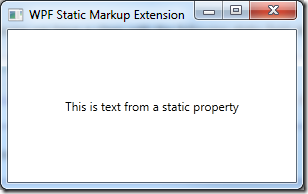 If you’re are not familiar with it, the Static markup extension allows you to reference static fields and properties in your XAML markup. NOTE: “ext” is a namespace that has been defined to instruct the XAML parser where to find our static field. Pretty cool right? Unfortunately if you are also doing any Silverlight development you will soon find that this wonderful and useful extension does NOT exist in Silverlight. Luckily for us in Silverlight 5 we were given the ability to write our own custom markup extensions. This can be done using either the IMarkupExtension or the abstract MarkupExtension class. Now it’s time to create our own Static markup extension. I want to point out that there is a naming convention when creating custom markup extensions. The convention is as follows; ExtensionNameExtension. The name of the extension is followed by Extension. This is very similar to how you create attributes. You won’t actually be using the suffix when define them in XAML. Let’s start by creating a new class called StaticExtension. The StaticExtension class should derive from the MarkupExtension abstract class. You will need to implement the abstract ProvideValue method. The code I used for the Static markup extension is as follows. /// Class for Xaml markup extension for static field and property references. /// optional, and refers to the XML prefix in a Xaml file. /// <param name="serviceProvider">Object that can provide services for the markup extension. /// The object to set on this property. That’s it! I will definitely be using this quite often. I would like to mention that unlike in WPF where you don’t have to specify the “Member” property explicitly, in Silveright you have to explicitly set the Member property. This is because there is not a ConstructorArgument attribute in Silverlight. So until then you will need to have a little extra text in your markup syntax.